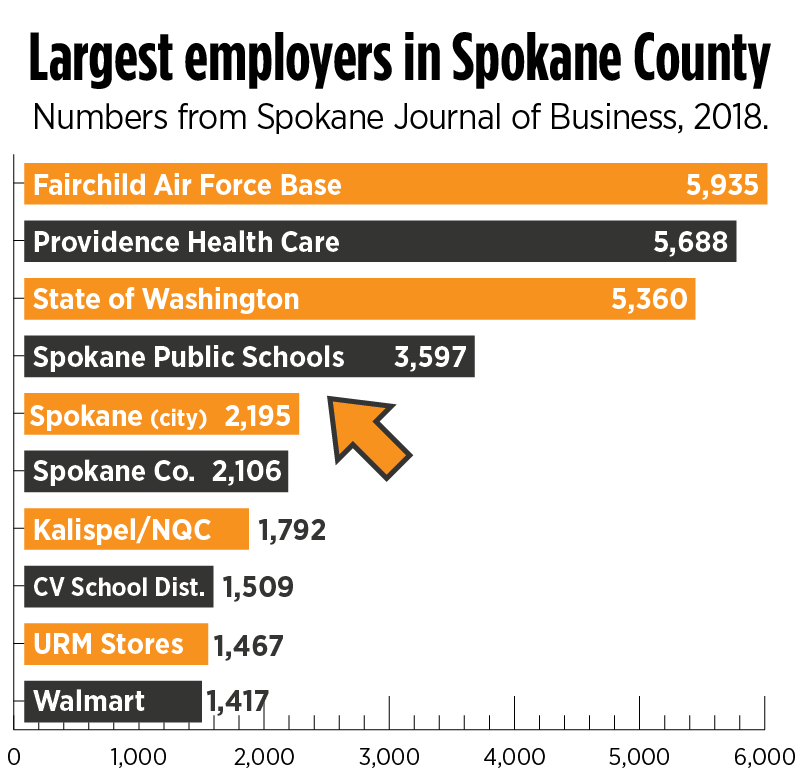 With plans to build a $181 million fulfillment center in west Spokane with a footprint nearing 700,000 square feet, the Washington-based corporation will begin hiring more than 1,500 full-time employees in 2019. The new hires will work alongside Amazon Robotics to pick, pack and ship items like games, housewares, school supplies and pet toys to the company’s ever-increasing customer base. 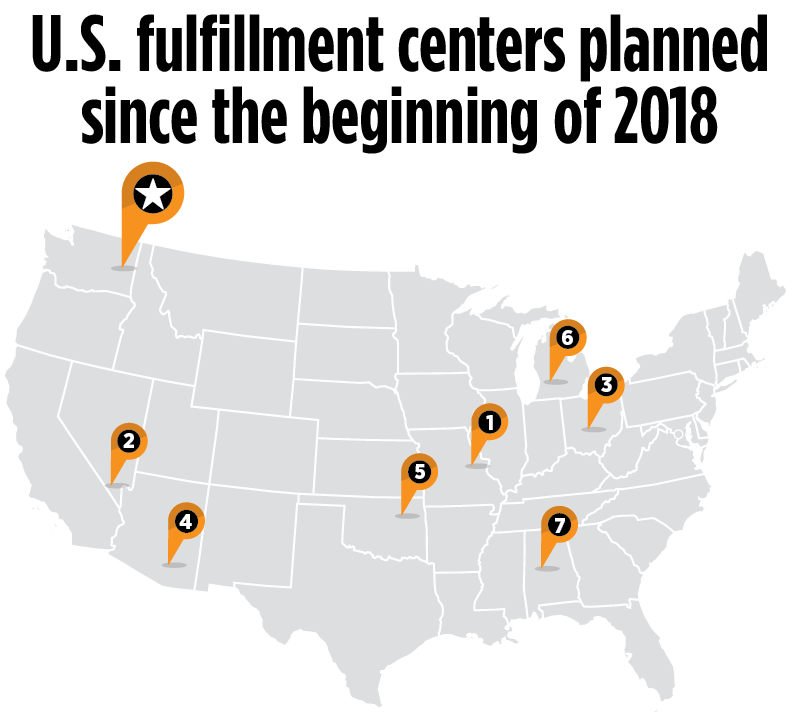 With more than 100 million paid Prime members worldwide, Amazon fulfillment center expansion continues across the country, and Spokane’s facility joins existing Washington sites in Kent, Dupont and Sumner. The building will be constructed using a tilt-up method, where precast concrete walls are made horizontally and then tilted up into place using large cranes. 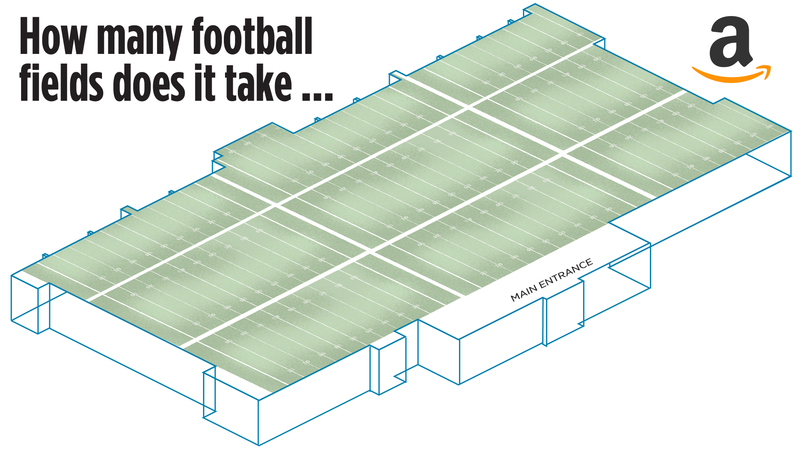 Traffic plans indicate the fulfillment center could grow from initial estimate of more than 1,500 full-time employees to about 2,300, which would rank 5th in county. During peak times, the warehouse could have as many as 3,000 employees when counting seasonal help. Kiva robotic drive units, like the one shown above, move stacks of merchandise pods weighing up to 3,000 pounds and help to facilitate quicker order handling by bringing items directly to Amazon employees handling orders. Amazon Robotics was founded in 2003 with the intention of better meeting consumer demands in eCommerce by better approaching order-fulfillment solutions. 1. St. Peters, Mo. – 1,500-plus jobs and 800,000 sq. ft.
2. North Las Vegas – 1,000-plus jobs and 800,000 sq. ft.
3. West Jefferson, Ohio* – 1,500-plus jobs and 855,000 sq. ft.
4. Tucson, Ariz. – 1,500-plus jobs and 855,000 sq. ft.
5. Tulsa, Okla. – 1,500-plus jobs and 640,000 sq. ft.
6. Gaines Township, Mich. – 1,000-plus jobs and 850,000 sq. ft.
7. Bessemer, Ala. – 1,500-plus jobs and 855,000 sq. ft.